I blogged about it on the Small Cells blog but cross posting here, just in case you missed it. I am making some videos sharing basic information about mobile technology. Its on YouTube here. Recently I made some videos looking at all kinds of cellular infrastructure; playlist is embedded below. 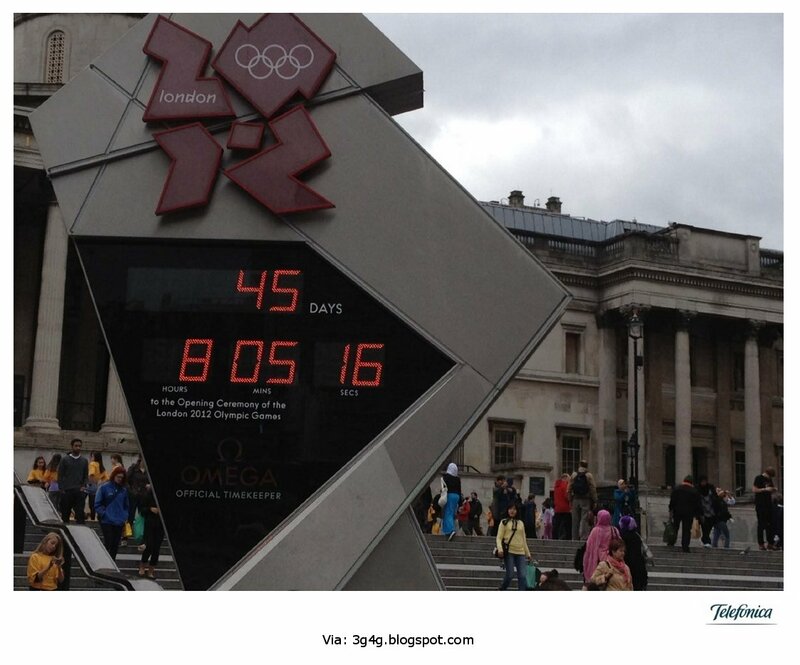 If you need slides, get it from 3G4G slideshare channel here. 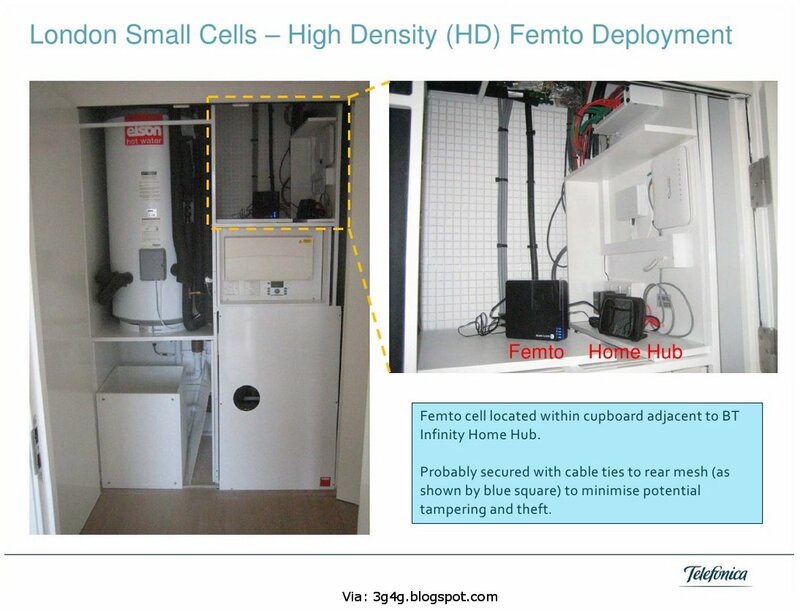 Femtocells were introduced many years back as a residential, closed group, small base station. The intention was to provide coverage at home for high speed data (primary) and voice (secondary). It was more for coverage than capacity. In these good old days smart phones were far and few and feature phones were many. WiFi on the phone made it expensive and power hungry so cellular was the way to go. 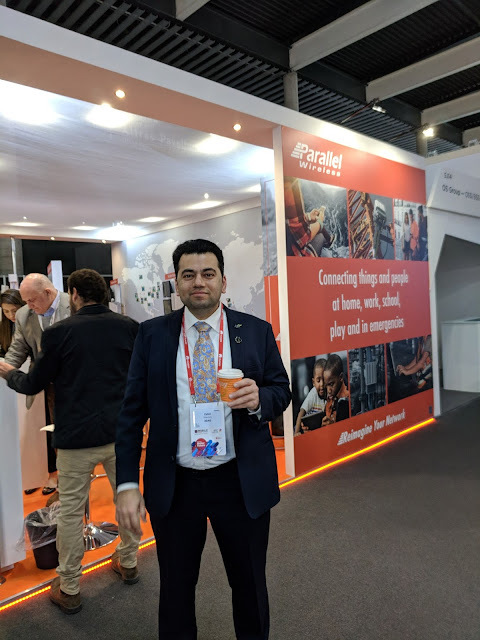 There were many opportunities for Femtocells to take the centre stage as the concept is technologically sound but the operators have been not very willing to deploy it soon enough. Some operators were more willing to give it a try to fix their own issues, for example Softbank which gave free femtocells, in open access mode, to improve its coverage issues. Femtozone services that promised value addition provided with the Femtocells, never took off. Other promises of exclusive broadcast content using Femtocells for example never materialised due to lack of availability of the handsets and content. Lot has changed since then. The smartphones and tablets have taken over the market, all of them have inbuilt WiFi that is generally more efficient than the cellular radio, coverage issues have become secondary and capacity issues are a bigger concern. Femtocell players have realised that except for the publicity, there isn't much to gain from the Femtocells. 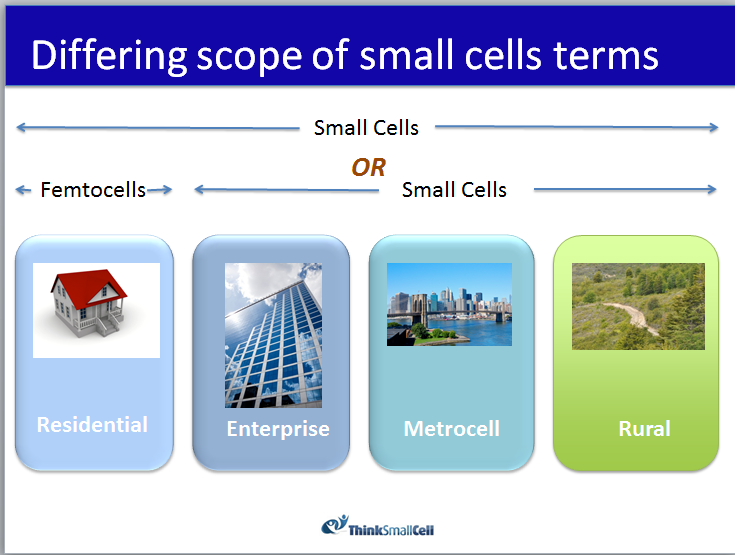 As a result Femtocells were replaced by the term Small cells that represents much more than the old Femtocells. The residential Femtocells have been reduced to being just voice boosters. 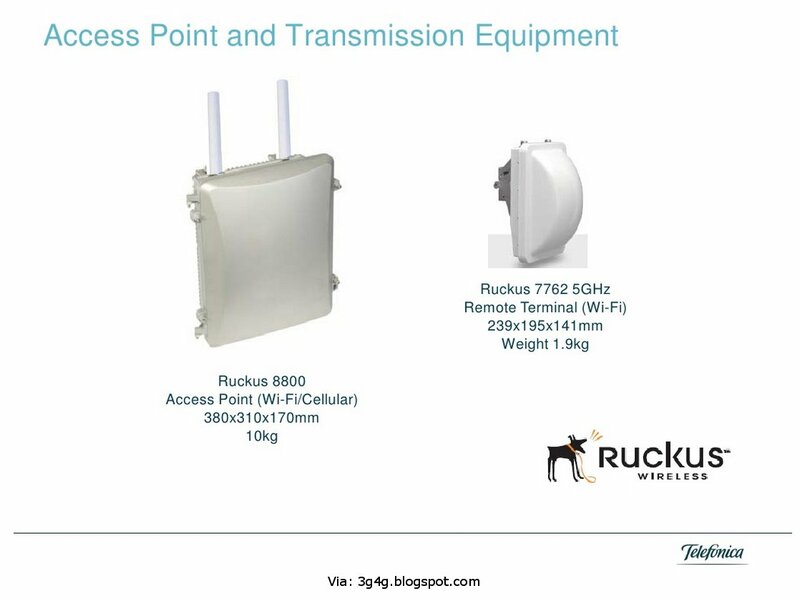 The different types of Small cells can be seen in the picture above. Except for the residential, the other types of small cells operate in either the open mode or the hybrid mode. Personally, I differentiate closed Femtocells from the other Small Cells. Metrocell is the upcoming type of Small cell that I believe everyone is focussing on. They operate always in the open mode and have been chosen as the promised one to solve the two major problems of capacity and coverage. 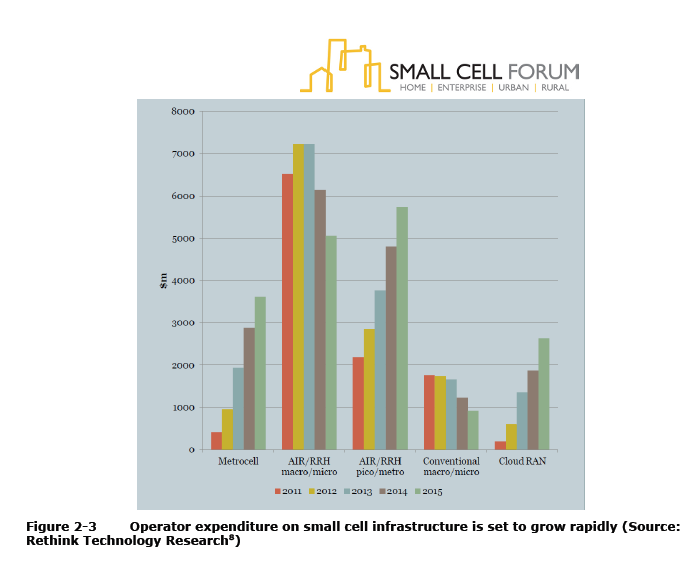 According to the Small Cell Forum introductory whitepaper, Metrocells would see an increased growth in the next few years when the operators start deploying more of them and less of the Macrocells. So for those of you who don't know, and would like to learn more, an introductory presentation on Metrocells is available here. If this is an area of interest and you are interested in having and in-depth understanding then we invite you to attend our Metrocells Masterclass which is a one day workshop explaining ins and outs of Metrocell. If you are a big organisation and would like us to provide you with a private workshop, please feel free to contact us for details. In an earlier post, we saw an idea on how to have energy efficient Femtocell. 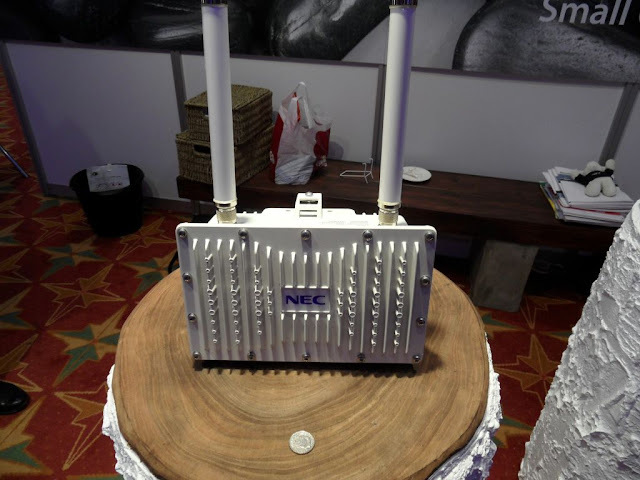 Here is a practical implementation from ALU on energy efficient Femtocell. 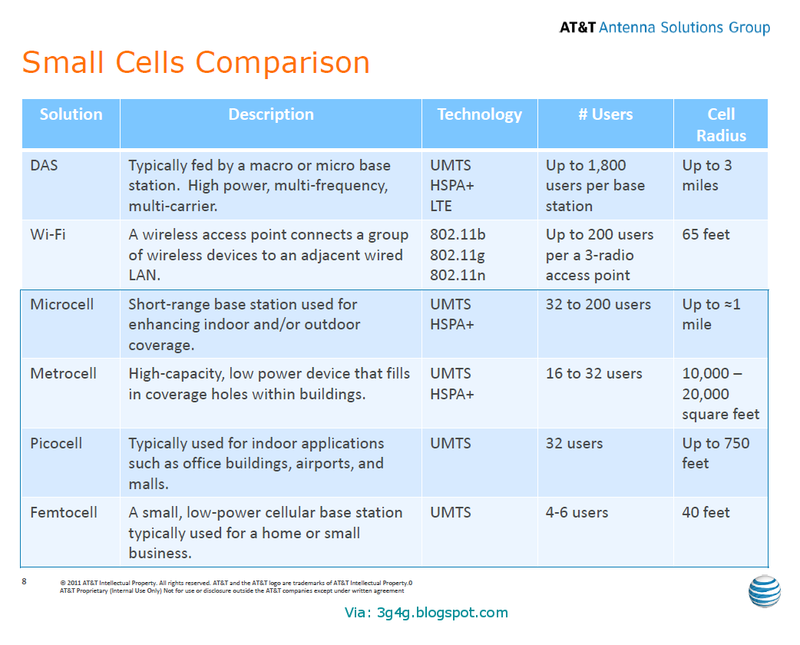 Here is AT&T's attempt in comparing the small cells. 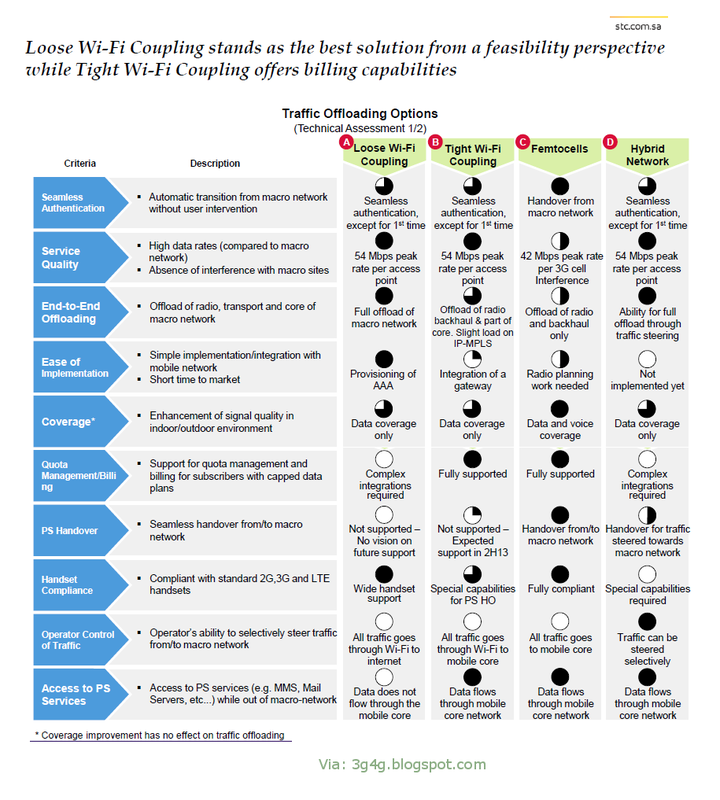 The above comparison is probably based on the assumption that LTE Small cells are not yet widely available. Once they are, then LTE can be put in for most columns in the Technology part. From a presentation by NSN in the Small Cells Global congress. Presentation by Nick Johnson, CTO of IP.Access in Cambridge Wireless Small Cells event. Visitors of this blog seemed to like the last set of deployment pictures I put up. 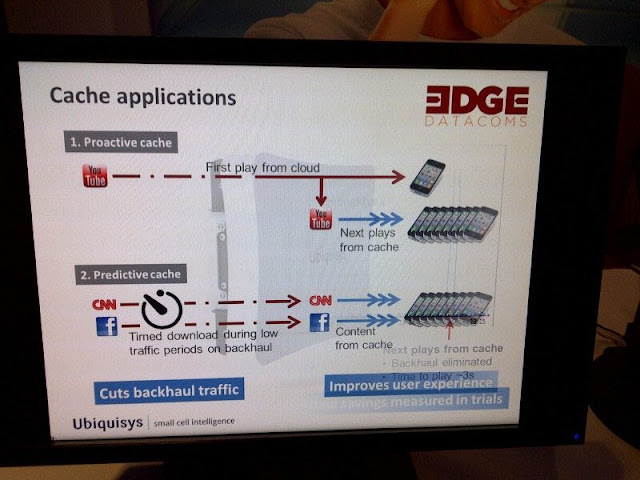 As a result here is another set of pictures from the same Telefonica presentation by Robert Joyce. See also my earlier post on the same topic here. 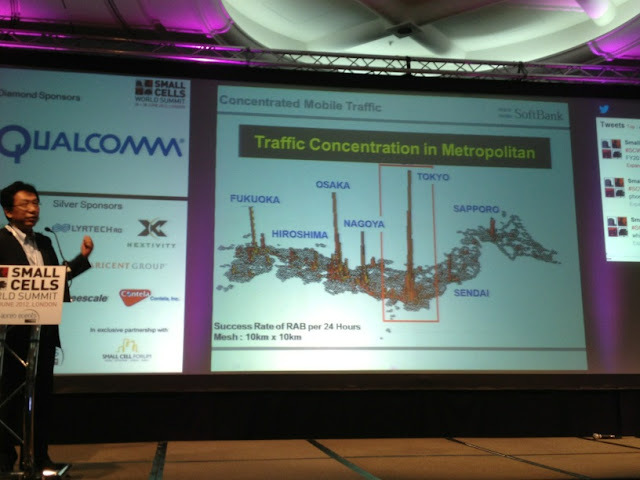 A presentation from the LTE World Summit 2012. @lesanto: "small cells are seen as a viable option to meet the demands of exponentially growing networks". even Mongolia is getting into the small cells! @lesanto: I will be quoting Simon Saunders in this style: SS "this is the premier Small Cells event in the world"
@lesanto: SS "the agenda over the next few days is effectively a guide to all the Small Cells issues - a well balanced program"
@lesanto: SS "people often ask which Small Cells event they should go to. I say this one, if you can only do one industry this is it"
@lesanto: Simon Saunders "why is it that Small Cells are a good idea in the first place?" @lesanto: SS "the more we try to serve the unlimited demand for data with macro cells the more interference we have to deal with"
@lesanto: SS "Small Cell networks help us to serve those data demands without increasing interference"
@lesanto: SS "we founded the Femto Forum in 2007 to answer these challenges"
@lesanto: SS "through hard work we achieved an open architecture for the 3G Femtocells. 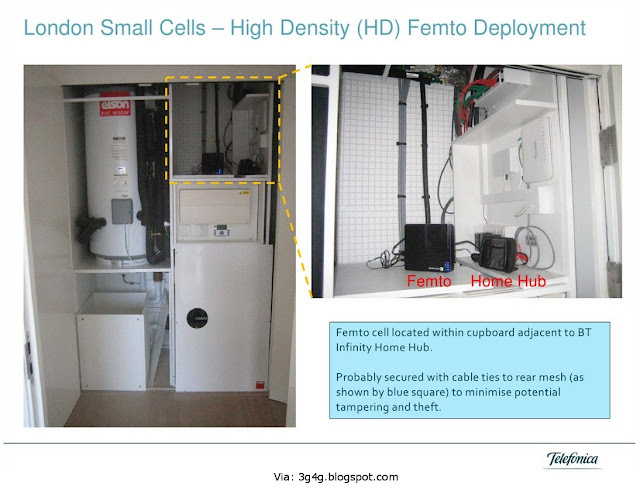 We highlighted a business case for Femtocells"
@lesanto: SS "deploying more small cells decreases network interference if managed properly"
@lesanto: SS "it is very heartening to see operators today deploying Femtocells successfully, we're seeing a great deal of maturity"
@lesanto: SS "Key attributes of small cells include Scalability, Automated configuration and optimisation..."
@lesanto: SS "we see the need and opportunity to do even more with small cells"
@Ubiquisys: "Our work today is about differentiating the technology to fit different environments"
@lesanto: "60% of operators surveyed consider small cells will be more important to LTE deployments than macrocells"
@bmbarnowski: great retrospective on the evolution of the femtocell/smallcell forum by SS … 2007 was a lonely year indeed for femtos ..
@MarkBLHenry: Simon Saunders: "... The central magic of cellular is spectrum reuse..."
@lesanto: "Vodafone's strategy is to drive Small Cells from a customer needs perspective"
@thinksmallcell: Vodafone showcasing new FemtoPlug - embedded femtocell into a small mains plug. 8 calls 21Mb/s. Sagemcom and ALU suppliers. @danieldotfox: Wow. The new Sure Signal product from #Vodafone looks amazing. Well thought out consumer proposition. Nice! @SmallCell_Forum: Vodafone announces femtoplug: tiny femtocell with ethernet over mains. To be launched in existing markets 'within weeks'. @disruptivedean: Liking the new "femtoplug" products announced by Vodafone. Very neat residential femto integrated into electric plug. 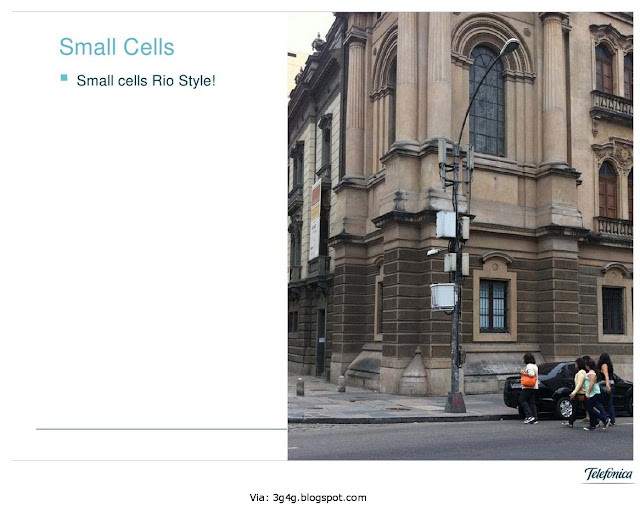 @lesanto: "where do you put small cells? How can we determine where the hot spots are? Fortunately there are tools available to help here"
@lesanto: "geolocation tools can also be exploited for network quality improvements"
@Ubiquisys: "Geolocation can be used to identify traffic hotspots"
@lesanto: "Vodafone have gained essential experience on how to address challenges with public access small cells for many environments"
@lesanto: "the availability of multi-technology small cells eases deployment"
@lesanto: "accelerate availability of multi-technology small cells to reduce the number of site boxes required to ease deployment"
@lesanto: "it not just about network cover and quality - it is also about driving new services and revenue growth"
@lesanto: Next speaker : Sebastien Pham Programme Manager New Products Vodafone New Zealand. @lesanto: Vodafone NZ faces the challenge of a relatively large area with a relatively low number of users. @lesanto: Vodafone deploying small cells in homes in NZ, but their Sure Signal will only work on Vodafone's own DSL network. @lesanto: watching a video on how small cells can help you make better mobile calls at home : are you hanging out a window to get a single? @lesanto: plug in a Sure Signal small cell box into your DSL and suddenly you can make mobile calls from anywhere in the house!#sorted! @lesanto: Next vid: a small business in NZ in a building known as the bunker - thick concrete and steel walls = poor mobile reception! 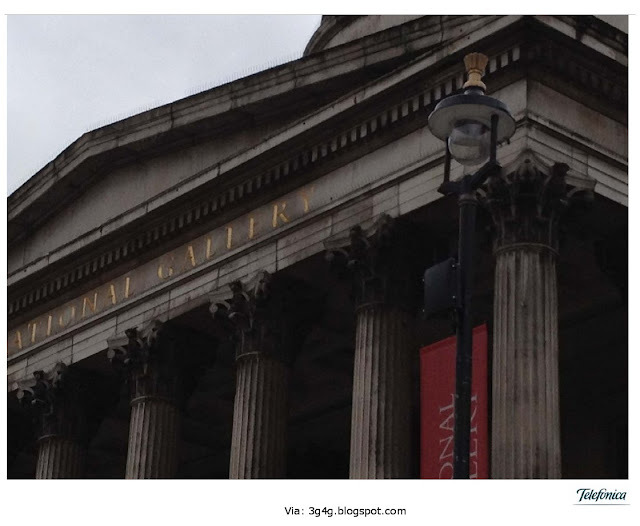 @danieldotfox: Small Cell feedback via Vodafone.nz, from customers: It's life changing! We all need and depend on mobiles... Food for thought! @lesanto: "10% of B2B customers have indoor mobile reception issues that effect their business"
@lesanto: "10% is a niche but it still represents a significant market"
@lesanto: "80% of customers suffering local connectivity issues are ready to move to an operator offering a solution to the problem"
@lesanto: "30% of B2B users are using smartphones - but that share is growing massively"
@lesanto: "small cell installation reduced churn by almost 50% where connectivity had previously been an issue"
@lesanto: "B2B customers suffering indoor connectivity problems are ready to pay for small cell solutions"
@lesanto: "Orange will launch small cell solutions to the UK market in summer 2012"
@danieldotfox: In Portugal, #Orange cam charge over €1000 for a B2B femto. Wow. @stewartbaines: Small cells can be basis for location-based services. Stop the dumb pipe! @lesanto: "what's next? Femtocell as a service for small operations..
@lesanto: "what's next: femtocell and other techs within a small cell - leverage indoor coverage solution for location based services"
@lesanto: why are Orange concentrating on B2B for small cells? Could it be the cost? I can't see many consumers paying $1500 a pop! @dmavrakis: Orange believes that SMBs that have coverage problems are willing to pay €1500 for an access point. @stewartbaines: Orange France enterprise femtos cost 1500 euros. But you do get a visit from an engineer. I thought they were plug & play? @lesanto: MG "small cells are beautiful"
@lesanto: "the world is getting smaller, so are macro cells"
@lesanto: "smaller and smaller cell sizes are an inevitability along with the technical and cost benefits they bring"
@lesanto: " many small cells advantages : better coverage, greater capacity gain, higher density coverage"
@lesanto: "business case benefits of small cells are not fully understood"
@lesanto: "benefits: reduced customer churn : increased customer acquisition : reduced cost of new macro deployment : "
@lesanto: " more benefits: leverage presence of mobile operator in the home : Increased ARPU "
@lesanto: technical and marketing support is essential when deploying small cells - choose your vendor carefully! @lesanto: "make sure that your small cell solutions use advanced & adaptive radio management technologies that won't interfere with macro"
@lesanto: "mass adoption of the mobile internet is going on right now - scaling to meet this demand is the challenge"
@Ubiquisys: The next speaker is Mark Gallagher of @CiscoSystems "Defining the New Normal"
@small_cells: "usage patterns in mobile internet are as important as the size of use"
@small_cells: "network densification is required : small cell development = highly dense topologies"
@small_cells: "you must use all the spectrum assets available to you"
@small_cells: "you need a simple, scaleable small cell solution that's properly managed"
@small_cells: "Small cells really are the new norm"
@Ubiquisys: London hotspots map shows usage, including tweets & Flickr photos, identifies small cell deployment locations. 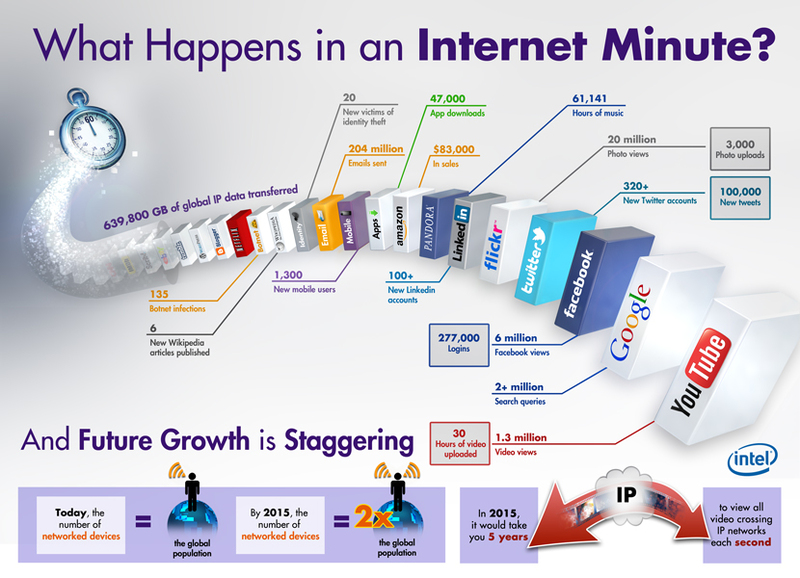 @Ubiquisys: Small cells future built around growing penetration of mobile internet. Take learnings from adjacent markets. @small_cells: "small cells are splitting into two categories : capacity and coverage"
@small_cells: "how can we cope with the data tsunami that's coming at us?" @small_cells: "the cost difference between a small cell and a macro is large"
@small_cells: "with data growth doubling every year you really need to plan ahead to cope"
@Ubiquisys: Data growth in US will not be uniform. Most data is consumed in downtown metro areas. @small_cells: "imagine if it was your job to find sites for 28,000 new macro masts per year to cope with data demand!" @Ubiquisys: Balanced solution = towers in the rural areas, picocells in urban areas. @lesanto: "operators are not keeping up with the data curve, I don't see them spending enough capital to keep up with demand"
@lesanto: "I think we're going to fall behind data demand in a serious way in 2015/2016"
@Ubiquisys: Operators won't be able to keep up with data demand. Be ready to ship millions of picocells in next few years. @lesanto: "when customers want to use more data than they can get we'll have unhappy customers and that means churn"
@disruptivedean: HIghly questionable supply/demand curve at #SCWS2012 that doesn't cover impact of pricing & policy management constraining "demand"
@lesanto: "those unhappy customers will force operators to make choices they hadn't previously wanted to make for economic reasons"
@lesanto: "we are projecting high numbers of small cells because of time-to-Market issues..."
@lesanto: The #London2012 olympics throws up a real challenge for mobile operators - small cells are already installed for the event. @danieldotfox: #O2UK has 100 small cells within the London area. @SmallCell_Forum: O2 says "small cells are the only way" for future capacity, even factoring on extra spectrum and LTE-A. @lesanto: "2g hotspots aren't in the same place as 3g hotspots so replacing existing 2g small cells for 3g cells won't always bring results"
@danieldotfox: #O2UK really like 'open' femto cells. Interesting! @stewartbaines: O2: 400 individual planning applications required to deploy metro wifi in Kensington and Westminster. Ouch! 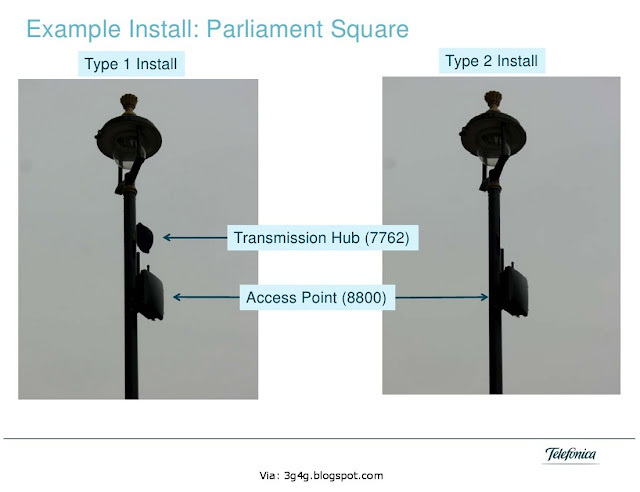 @lesanto: O2 also had to considerer the form factor of the installations, London lampposts are not suitable for big set upis! @lesanto: Olympic village buildings are clad in aluminium for heat retention - this also locks out mobile signals! @lesanto: O2 want to use their Olympic experience to roll out small cells elsewhere - but say the price has to come down! @Ubiquisys: Here's a prototype solar powered small cell. Interesting concept. 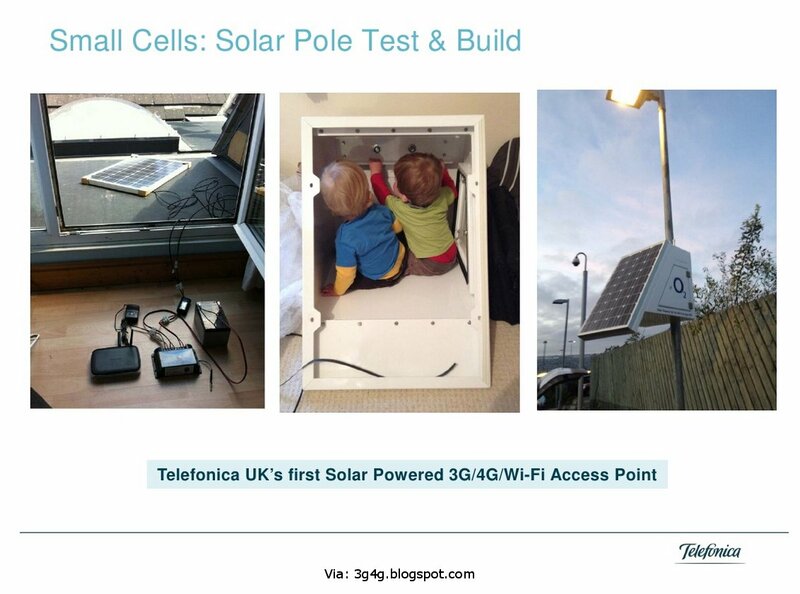 @SmallCell_Forum: After announcements by O2 and Orange today, is UK first market in world where all operators have publically announced femtocells? @Lance_Hiley: Telefonica's Rob Joyce forecasts 1Gb/s per km #backhaul requirement for London #smallcells by 2015. @markc_reed: “@thinksmallcell: O2 deployed 1Gb/s per square kilometre capacity in London using Small demand #SCWS2012” what about install & bhaul cost? @Ubiquisys: @radisys: Over the next three years, which sources of disruption will have the greatest impact on mobile operators? 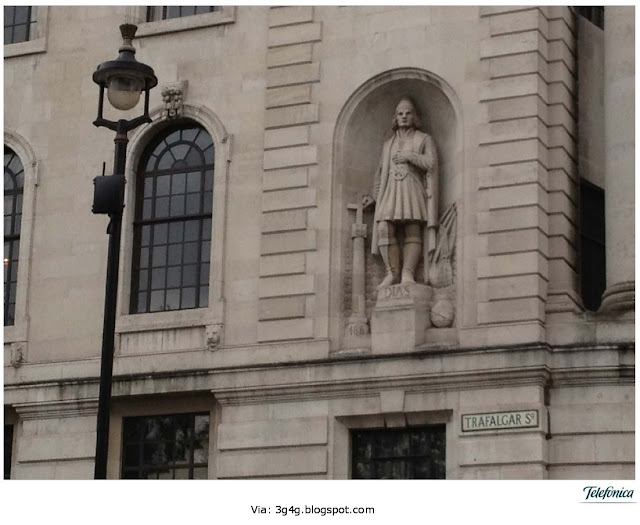 @danieldotfox: #O2UK state that 1Gbit per square kilometer is needed for sufficient outdoor data capacity within 2015 timeframe. Crikey. @lesanto: "backhaul is a key enabler for small cells, but there is uncertainty around which solutions are suitable"
@SmallCell_Forum: France & UK first countries globally where all mobile operators have announced femtocells. @lesanto: SK telecom is preparing for the PETA byte era - which is next year! 1 PETA = 10 to the power of 15 bytes. @stewartbaines: @lesanto Key thing about the petabyte era, is SK Telecom will has 1 petabyte PER DAY on their mobile network. @lesanto: "For interference mitigation in small cell deployment, a central interference management system is being developed"
@lesanto: "there is an increase in operator provided wi-fi"
@lesanto: "wi-fi is already a small cell but without all the features you expect from a mobile network"
@lesanto: "Hotspot 2.0 - converging the wi-fi and cellular networks"
@lesanto: "people use cellular primarily for email and facebook, while they use wi-fi for youtube"
@lesanto: "optimising power consumption is critical when combining so many functions into one box"
@lesanto: "you need a good application processor to manage the network efficiently"
@lesanto: providing mobile data is extremely complex - it's a typical swan swimming scenario, serene above the surface, mad action below it. @lesanto: "security is obviously very critical to a mobile network"
@lesanto: "Hotspot 2.0 - the mission is to make wi-fi connectivity (of mobile devices) as seamless and easy as cellular"
@danieldotfox: The #Qualcomm approach to multiradio/multi spectrum type access points looks good. Mixed in with Hotspot 2.0. Smart thinking. @Ubiquisys: Small cells defined: Residential, Enterprise, Metro. What is the distinction? 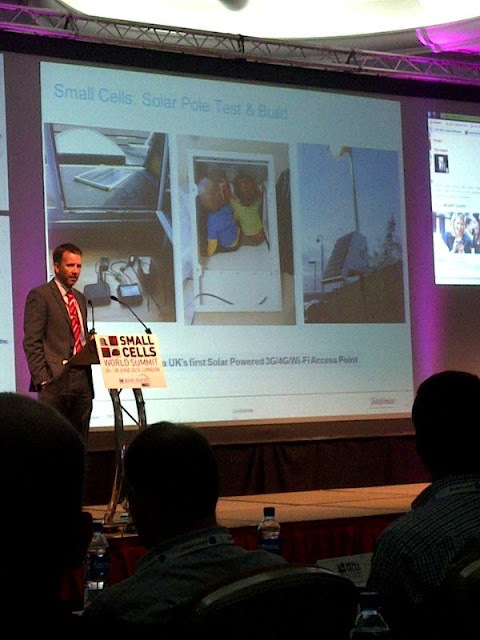 Ubiquisys: Small Cells World Summit 2012: What happened on day one? @lesanto: Matthew Brown Marketing Product Manager Femtocell, Optus Aus. "delivering femtocells to market isn't just about technical aspects"
@small_cells: "we decided to include the additional benefit of unlimited calls in a femtocell tariff"
@small_cells: "we managed to mitigate the negative effect of it seeming like they were paying for coverage, hence the unlimited calls package"
@small_cells: "our initial commercial pilots taught us about the big challenge of integrating the femtocell with a variety of different modems"
@small_cells: "this product needs a seamless deployment, it must just plug and play - the consumer is short of patience with set up"
@small_cells: Optus have a lot of useful experience with consumer femtocell deployment, it's well worth learning the lessons they've learned! @stewartbaines: I never realized my femto should be 1m away from my WiFi. You learn something new everyday! @small_cells: "customers really enjoy the benefit of the connectivity, they absolutely love it - the challenge is how to price that service"
@stewartbaines: Optus: next steps is presence-based apps and further differentiated pricing. @stewartbaines: Optus: we're looking for presence-based apps/services for femtos. Anyone got a case study? @small_cells: "wireless network evolution is ongoing"
@small_cells: "more than 40 launches of the LTE network and 200 more commitments"
@small_cells: "LTE-A requires a 1gbs downlink"
@small_cells: "limited coverage of macro sites will become a very big problem"
@small_cells: Service Development Trends: Phones once used for voice call and SMS - now various uses and services including HD TV. @small_cells: "densely populated areas lead to more interference between installed femtocells requiring better interference handling technology"
@small_cells: "two deployment scenarios: Hotspot scenario and rural scenario - both requiring different solutions"
@small_cells: "main objective scenario : coverage (for) holes and hotspots"
@small_cells: "one objective of small cells is to minimise CAPEX and OPEX"
@small_cells: "small cells seem more flexible and give more choices for operator deployment"
@small_cells: "small cells bring more: higher capacity, better micro-offload, enhanced user experience"
@small_cells: "with small cells we can do more"
@stewartbaines: Is China Unicom suggesting handover between individual HeNBs? @MarcianoGilbert: China Unicom: 2 small cells rollout scénario: Hotspot (close, semiopen, open for M2M use) & rural; Wifi + Cellular in tandem. @small_cells: Next speaker: Mike Schabel - VP LightRadio, Alcatel-Lucent "Metro Cell : Thinking outside the box"
@small_cells: MS "I'd like to share our experiences with introducing LightRadio"
@small_cells: "there is a lot to extract from spectral efficiency - 1x or 2x capacity improvement"
@small_cells: "operators continue to lobby for more spectrum, including adding wi-fi"
@small_cells: "but we really need to look at spatial efficiency - outdoor metro cells are a part of that efficiency"
@small_cells: "but the box is probably the smallest part of the picture that needs to be solved"
@small_cells: "we have recognised just how important the beyond the box solution is"
@small_cells: "there's a large number of deployment challenges that need to be solved"
@small_cells: "ecosystem partners are likely to change, the whole value chain is up for grabs again"
@small_cells: "we need to talk about the box, I can't escape talking about the box"
@small_cells: "the box is in the public eye so we focussed on the look of the box"
@small_cells: "everything but the kitchen sink has to go into this box"
@small_cells: "you have to be careful about the design of the box, pay attention to details like heat dissipation"
@thinksmallcell: ALU 70% data traffic offload is the tipping point for commercial viability of a dedicated small cell carrier. 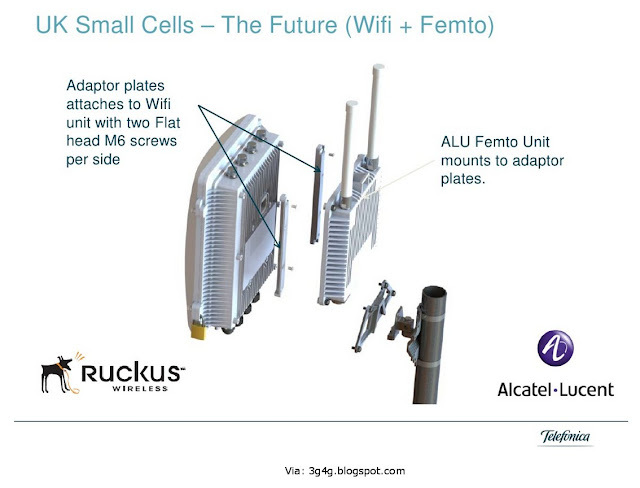 @thinksmallcell: ALU explaining MetroDock - pluggable radio cards for compact metrocell. Is this the "radio blade server" for city lampposts? @small_cells: "Backhaul : No silver bullet - requires comprehensive options"
@stewartbaines: If you can hang a Christmas light, can you really hang a metrocell? 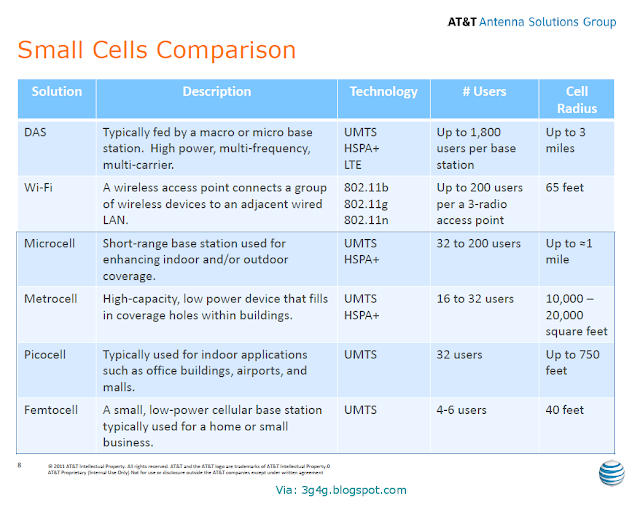 @small_cells: "Site selection: no longer about RF positioning. 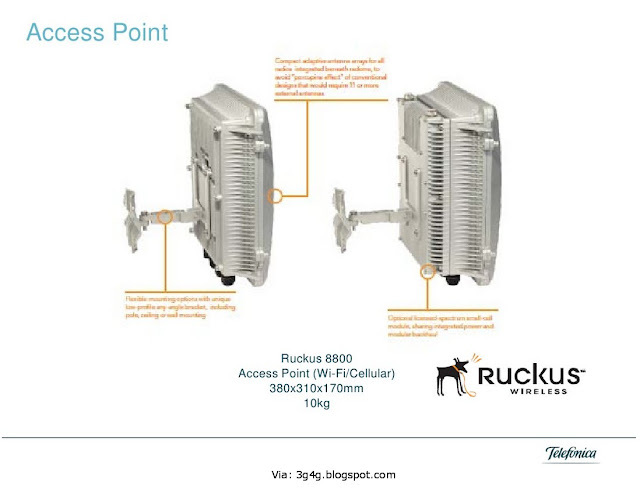 Need to balance site availability, power, and backhaul"
@small_cells: "what's not practical is to find an ideal site with no backhaul, that won't solve the problem"
@small_cells: "installation & commissioning a massive challenge, must design the product to make it easy to install without high-skilled labour"
@small_cells: "we have been going through and learning a tremendous amount of lessons with LightRadio"
@small_cells: "smart cells is a hot topic in the industry"
@small_cells: "small cells serve 4 locations : Home : Enterprise : Urban : Rural "
@small_cells: "data wasn't the original driving factor it was voice quality and capacity"
@small_cells: "Now we are in the post data revolution era"
@small_cells: "we talk about metro cells on lampposts but 70% of mobile data is consumed indoors"
@small_cells: "rural backhaul is very costly, femto based technology with satellite backhaul speeds up rural deployment"
@small_cells: "small cells - a 7.7billion dollar opportunity!" 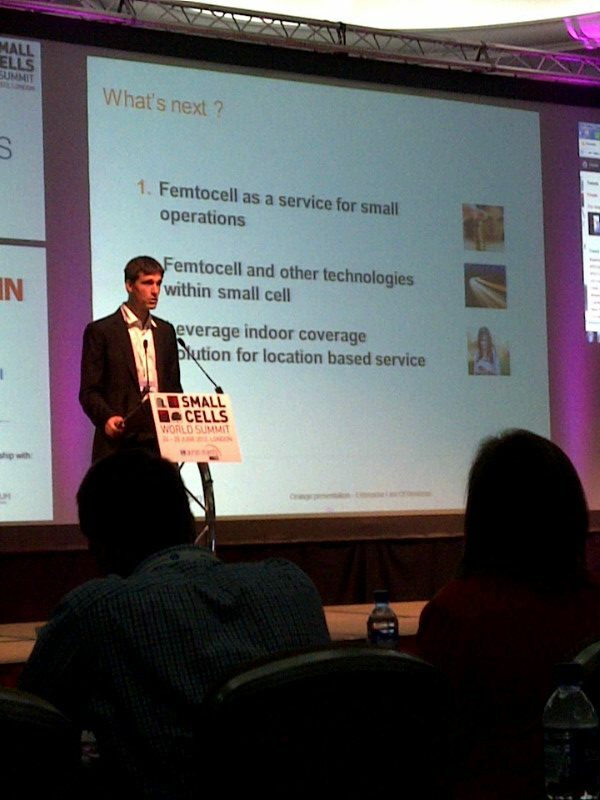 @small_cells: "one of the great things about metro indoor is there are a lot of sites - the real hotspots are indoor"
@small_cells: "50,000 public access small cells deployed - 200,000 open access femtocells deployed"
@small_cells: "data dominated by chatty smartphone apps - signalling procedures per UE in busy hour - up to 50 users"
@Ubiquisys: Will Franks: traffic is dominated by data/signalling. Data is dominated by chatty smartphone apps. 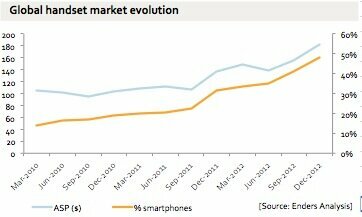 Users are highly transient. @small_cells: "transient users - ave 7 mins in cell - different profile to wi-fi users who tend to dwell longer"
@small_cells: "cafe hotspot : people get their coffee and immediately fire up their browser or social network"
@small_cells: 'Map' of cafe hotspot cell usage shows data data data - lots of chatter but very little talking! @small_cells: "challenges are not data use but cell overload, camp-on attempts, data vs signalling"
@small_cells: "our aim is zero touch deployment, making it as simple and as hands off as possible"
@small_cells: "hotspot robustness : these cells are 100% utilised in busy times and have to be able to manage themselves"
@small_cells: "smart cells are about extending the cloud to the edge of the network"
@small_cells: "why smart cells : it's about user experience"
@small_cells: "smart cells provide high-speed, short-range signal with low contention"
@small_cells: "Ubiquisys teamed up with Intel to put a comms-tuned compute platform in a small cell to make a smart cell"
@small_cells: "there are no standards issues with smart cells at all"
@small_cells: "proactive and predictive cache used to cut backhaul traffic - improves user experience"
@small_cells: "more smart cell applications: cellular - wi-fi policy management : video / ad server : CDN clients : "
@small_cells: "small cells come in many flavours : home femtocells, enterprise small cells, metro indoor, metro outdoor and rural"
@small_cells: "enterprises have to embrace BYOD and Colt certainly are"
@small_cells: "demand and supply - don't believe the data crunch is a myth"
@small_cells: "near-time data growth has exceeded the value of last years Cisco VNI analysis"
@small_cells: "it's not just background data and email it is about delivering QoS"
@small_cells: "by 2016, 70% of data will be video"
@small_cells: "it's not 75kbps per sub spread over 6h it's 10Mbps per sub in 30s bursts"
@small_cells: "you can deliver high quality with low throughput but as soon as throughput increases you loose QoS"
@small_cells: "it's generally the backhaul which is the limit to throughout..."
@small_cells: by last March 30% Japanese population could access LTE, that'll be up to 70% by end of 2012! 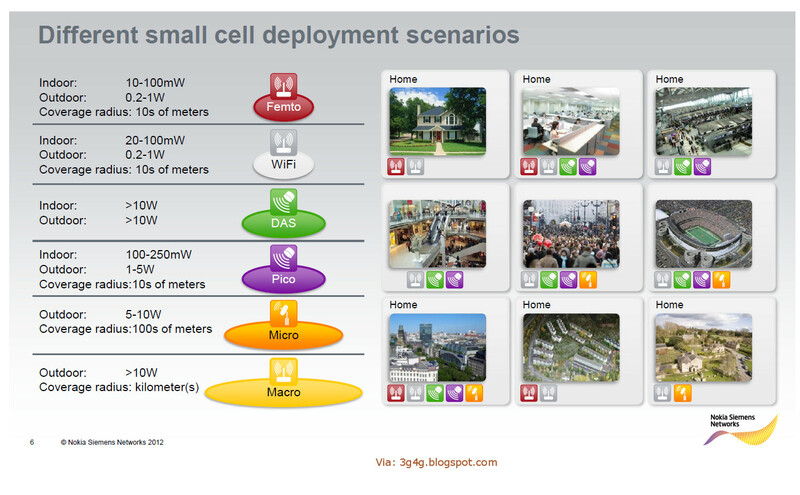 @small_cells: NTT DeCoMo have already signed up 2.2 million LTE subscribers and expect to hit 10m by end of 1q 2013. 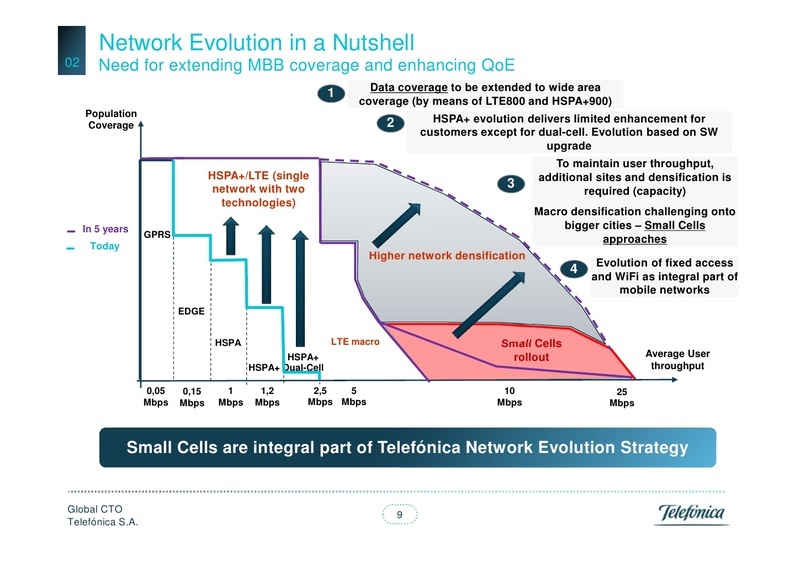 @small_cells: "NTT DeCoMo see two main advantages for LTE femtocells : expanded coverage and traffic offload"
@small_cells: "approx 12 x data growth expected between 2011 & 2015 - we need to satisfy that future traffic demand"
@small_cells: "in 2011 more smartphones than PCs were sold"
@small_cells: "I'd like to talk about building intelligence into the overall network"
@small_cells: "mix of social networking and mobile users has changed the way we work and socialise. 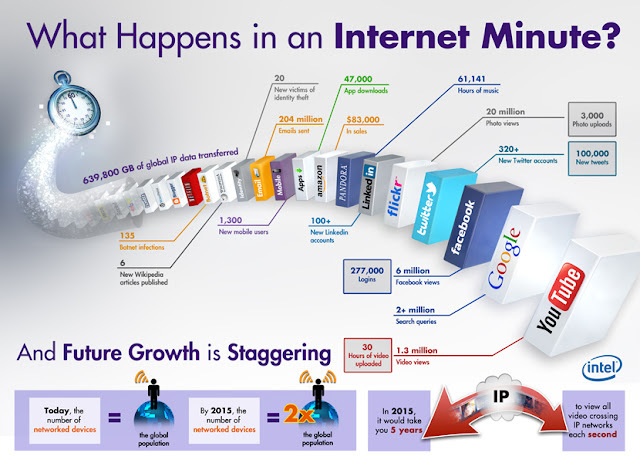 Now think ahead to 2015"
@small_cells: "what kind of network do we need for 2015 when there will be twice as many connected mobile devices as today? @small_cells: "if done correctly you can increase revenue and decrease operating expenses"
@small_cells: "small cell base stations redefine HetNet economics"
@small_cells: "what is a smart cell? All small cells have some intelligence but now we are taking Intel's datacentre skills to the operator"
@small_cells: "the consumer with a mobile intelligent device can upload as much as he downloads, networks have to be symmetrical"
@small_cells: "we believe smart cells need massive storage abilities and high performance CPUs"
@small_cells: "smart small cells allow you to take advantage of value added services and offer better user experience"
@small_cells: "putting intelligence in a device increases cost, so we wanted to determine the economic benefits of smart small cells"
@small_cells: "we found there was a reduction in network operating costs of 22% when using smart cells, mainly from backhaul savings"
@small_cells: "Summary business case findings: Improvements are seen in OpEx savings, specifically, in network OpEx"
@small_cells: "smart cells help with operator bottom line, beyond capacity and coverage"
@small_cells: "local caching and filtering eliminates peak hours overload"
@small_cells: "even Moore's law can't keep up with where the networks are going"
@small_cells: "silicon alone can't solve the thirst for bandwidth"
@small_cells: "Small Cell Networks - Taking the strain - how many small cells to cover London - or the world!" 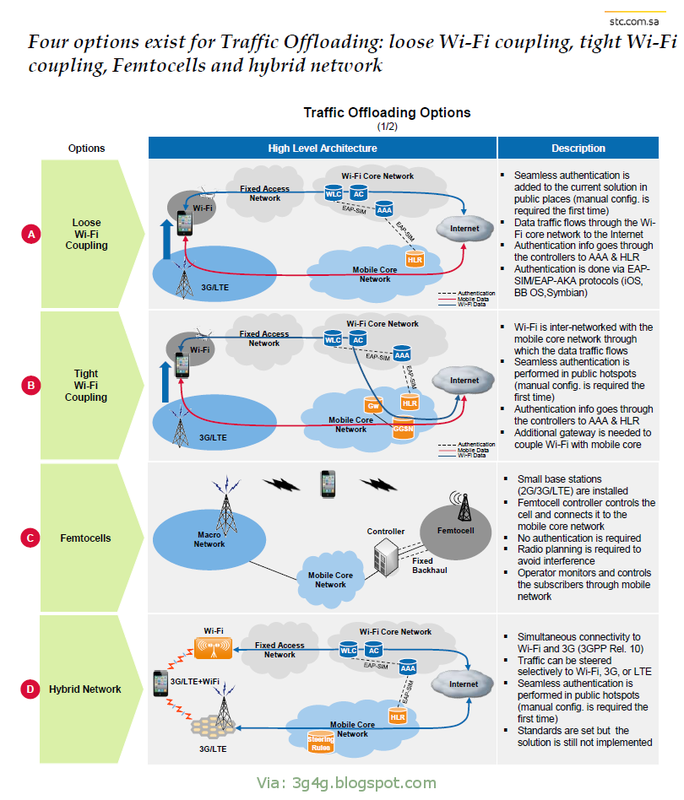 @small_cells: "Cell Traffic Dimensioning - what does it really take to overwhelm a cell?" @small_cells: "internet video will be driving much of future mobile data traffic"
@small_cells: "is there a busy hour? most reports show traffic usage is fairly constant from 8-8"
@small_cells: "people are consuming data via multiple devices, my kids use three simultaneously - I don't know how they do it!" 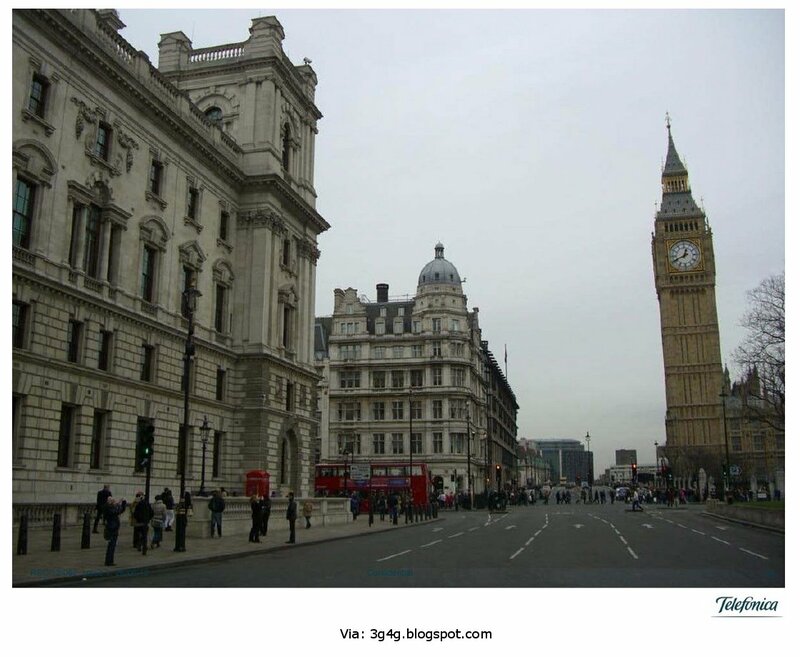 @small_cells: Mindspeed's study suggests a London wide small cell network with over 71,000 base stations --- and 19 million needed worldwide! @small_cells: "all this detail helps specify and build the best small cell SoC solutions"
@small_cells: "BT provides fixed backhaul to all major mobile operators in the UK"
@small_cells: "BT Openzone has the biggest WiFi footprint in the UK. 16 wireless cities in the UK. 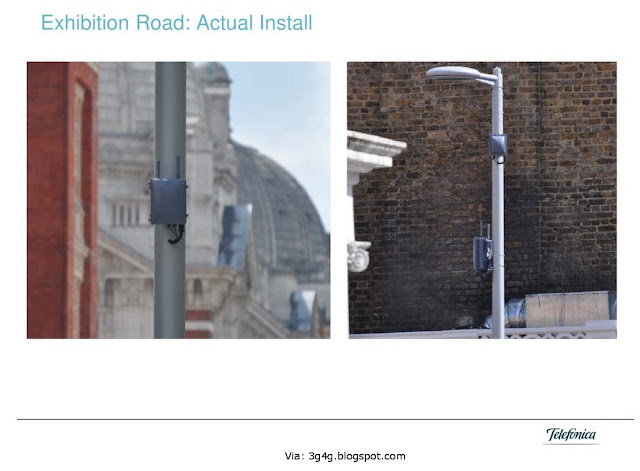 4 million UK hotspots"
@small_cells: "BT investing £2.5b extending fibre infrastructure close to home"
@small_cells: "street lamps came out top for small cell location"
@small_cells: "to reduce backhaul we must reuse as much capability as possible so we must try to leverage the fibre roll out"
@small_cells: "backhaul isn't just about access it's all about integrating, building an end to end OSS is a significant cost"
@SmallCell_Forum: BT: "Comedy and small cells: it's all about the timing"
@small_cells: "small cells have challenges in sites, backhaul and power - and costs have to come down"
@small_cells: "to solve backhaul problems, end to end service delivery and maintenance should be considered"
@stewartbaines: should enterprises get free at-desk mobile calls if they have a femto? 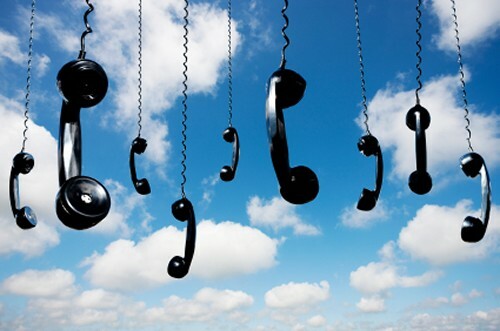 And what of PBX integration? @Ubiquisys: #SCWS2012 in pictures http://ubiquisys.com/small-cells-blog/small-cells-world-summit-2012-in-pictures/ - Is that you I see? @small_cells: First Speaker - Andy Sutton, Principal Network Engineer at Everything, Everywhere. @small_cells: "small cells could be interpreted as anything non-macrocell"
@small_cells: "two different scenarios : capacity or coverage?" @small_cells: "Femto provides in-building coverage for voice services"
@small_cells: "Public Access external small cells for capacity"
@small_cells: "we anticipate supporting voice as well as data on our public access small and pico cells"
@small_cells: "we're likely to see an improvement in spectral efficiency"
@small_cells: "if we deploy a 3g solution today we want to see an evolution path to LTE"
@small_cells: "on average we look at small cells costing 1/10th the cost of a macro"
@small_cells: "key performance indicators should ideally be the same as the macro network"
@small_cells: "you could open a new area of coverage and this is a different scenario to simply adding capacity to an existing hotspot"
@small_cells: "small cells are a game changer in terms of how we architect networks"
@small_cells: "both LoS and NLoS have a part to play in small cell backhaul"
@small_cells: "backhaul could be fully integrated with macro network or completely decoupled with an overlay (underlay) solution"
@small_cells: "we will see small cells rolled out in volume to support mobile network evolution"
@small_cells: "small cell sites must have a very low TCO in the region of 10% of that associated with macro sites"
@small_cells: "several backhaul solutions will be required to meet all likely deployment scenarios"
@small_cells: "reducing latency could be a significant battleground in the LTE market"
@small_cells: "in Japan data usage is crazy"
@small_cells: "What is the key to mobile market up-growth -- Market share : ARPU improvement : Market Value Improvement "
@small_cells: "four competition elements to win: 1 Network 2 service 3 charge rate 4 customer service "
@small_cells: "number of Softbank base stations: 190,000 -- excluding home femtocells"
@small_cells: "by May 2012 Softbank had deployed 121,850 home femtocells, the figure continues to rise"
@small_cells: "outdoor cell sites cannot cover all indoor areas in downtown Tokyo"
@small_cells: "femto to macro handover is very important to indoor"
@small_cells: "we got the number one tv commercial by deploying the white dog"
@small_cells: "smartphone data traffic is 10X more than a feature phone"
@small_cells: "mobile network traffic will grow 12X from FY2010 to FY2016"
@small_cells: "Tokyo data use is very crazy, I can't believe it"
@small_cells: "we are deploying a multi-layer cell architecture"
@small_cells: "we need a very strong co-operative interface coordination"
@small_cells: current speaker : Jang Ahn Kwon Chief Marketing Officer & VP, Contela Inc.
@small_cells: "home small cell needs to be dual mode to support 3G and LTE for legacy handsets"
@small_cells: Current speaker : Jie Zhang - Ranplan "small cell deployment in heterogeneous networks"
@small_cells: "Intelligent Cell Optimisation (ICO) shows where small cells should be located"
@small_cells: "providing better coverage throughout the entire home gets the whole family on the operator's plan"
@small_cells: "does it work? does it really offer long lasting value to the subscriber and operator"
@small_cells: current speaker is "Michiel Lotter, VP of Engineering Nextivity Inc.
@small_cells: "95% of customers who installed cel-fi remained with operator (as opposed to churning away)"
@small_cells: "50% of mobile users worldwide don't have access to broadband, meaning femtos are not an option"
@small_cells: "why small cell service? 5 bar indoor coverage"
@small_cells: "small cells allow for application sweetspot"
@small_cells: "small cells can help deliver the intelligent home"
@small_cells: "small cell networks can help deliver location based services"
@small_cells: "small cells enable shopping 2.0"
@small_cells: "8 different demos of small cell enabled apps going on at recent small cell forum"
@small_cells: "consumers want small cell services and are willing to pay"
@small_cells: "Sunrise is under pressure to constantly add capacity, enhance the user experience, & keep a lid on total cost of ownership"
@Alejandro_Avren: Sunrise: 16 time data usage increase expected by 2017, doubling every year until 2014!! @small_cells: "the congested 3g cell rate is increasing whereas the footprint of the congested cells remains the same"
@small_cells: "demanding environmental factors in Switzerland will favour the use of small cells"
@small_cells: "Sunrise will continue to use the femto and is ready for wide-spread deployment"
@small_cells: "main purpose: to deliver cost efficient object special coverage to compliment macro base station portfolio"
@small_cells: Sunrise will "continue to use femto as a retention and business enabler tool"
@small_cells: "fair use policies reduce levels of data use growth temporarily but they cannot reverse the skyrocketing demand for mobile data"
@small_cells: "small cells vendors need to support SON for HetNet as well as an effective small cells management"
@small_cells: "Mobile bandwidth is increasing"
@small_cells: "funding for bandwidth increases and alternatives is decreasing, pressuring OEMs and Chip Cos."
@small_cells: "ARPU rising only 3%"
@small_cells: "Base station costs falling from $40K"
@small_cells: "Moore's Law enables cost reduction but heats up competition among chip companies"
@small_cells: "to defend or capture share, chip companies are rushing in to supply base station processors"
@small_cells: "the opportunity for system vendors is an opportunity for chip factors"
@small_cells: "markets tend to ramp later than expected but ramps tend to be bigger than forecast"
@small_cells: "market drivers for femtocells are problematical"
@small_cells: "shipment growth has only just begun - enough data to define a trend?" @small_cells: "vague plans by major operators to deploy"
@small_cells: "causes for concern - technology dynamics: ..."
@thinksmallcell: NEC's outdoor metrocell. Looks pretty solid and durable to me. Believed to be Ubiquisys technology inside. Alcatel-Lucent's Wilson Street: Femtocells: pile them high, and sell them cheap? Or keep them for the most valuable customers? If you enjoyed reading this why dont you let me know by clicking the 'Very Useful' checkbox below this post.